Labour has gained the marginal constituency Bury North from the Conservatives. 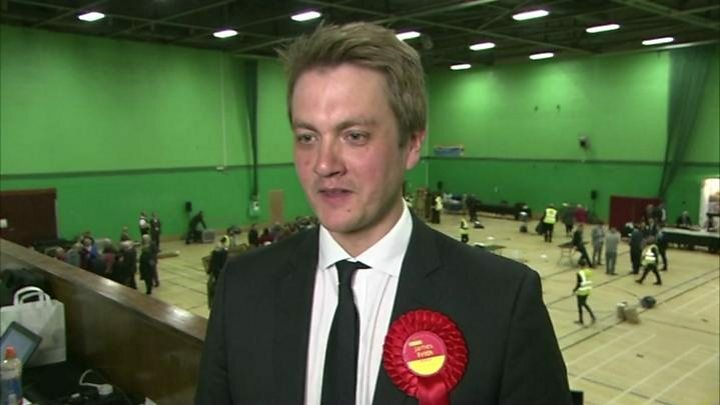 Labour's James Frith won the seat with a majority of 4,375 over Conservative candidate David Nuttall, who had held the seat since 2010. Mr Frith won 25,683 votes and Mr Nuttall gained 21,308 votes, making it a swing of 5%. There was a 70.9% turnout. Liberal Democrat Richard Baum came third with 912 votes. Since its creation in 1983 the seat of Bury North has always returned a member of the party that went on to govern. Mr Frith said: "I am absolutely determined to do right by the people of Bury North... there is an appetite for a Member of Parliament to be active, visible, and energetic." Meanwhile Mr Nuttall said a review would be carried out to find out what lessons could be learned. Media captionDeposed Tory candidate to "carry out review"
Labour's Afzal Khan held Manchester Gorton for Labour with 35,085 votes - an increase of 7,898 on his predecessor, the late Gerald Kaufman who died earlier this year. Mr Khan, who becomes the city's first Muslim MP, said his election after the Manchester bombing sent a "powerful message to the terrorists and the racists". "I suppose it is the whole campaign, the message and the manifesto and the people of Manchester responding," Mr Khan added. Conservative Shaden Jaradat came second with 3,355 votes. Former Labour MP George Galloway, who was standing as an independent, polled 2,615. The by-election caused by Mr Kaufman's death was cancelled when the general election was called. Meanwhile, the Conservatives held Bolton West with a majority of 936. The seat was a top Labour target but Conservative Chris Green gained 24,459 votes, beating Labour's Julie Hilling on 23,523. Greater Manchester's former interim mayor and police and crime commissioner, Labour's Tony Lloyd, held the Rochdale seat with 29,035 votes, a majority of 14,819. Conservative Jane Howard came second, receiving 14,216 votes. Former Labour MP Simon Danczuk, standing as an independent in Rochdale, lost his deposit with only 883 votes. The turnout was 64.1%. 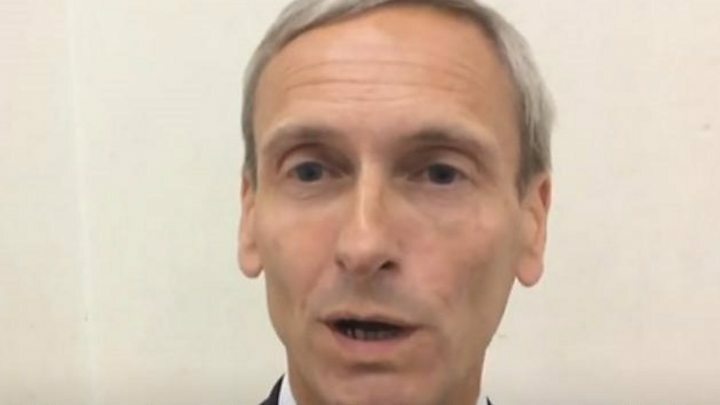 Labour's Jeff Smith said his massive victory in Manchester Withington, where he won 38,424 votes, a swing of 13% from the Liberal Democrats, has been a "remarkable rejection of negativity in politics from the Liberal Democrats in Withington and the Tories nationally." He added: "It has been a vindication of positive campaigning and giving people hope." The Liberal Democrats candidate John Leech polled 8,549 to come second. The turnout was 71.9%. 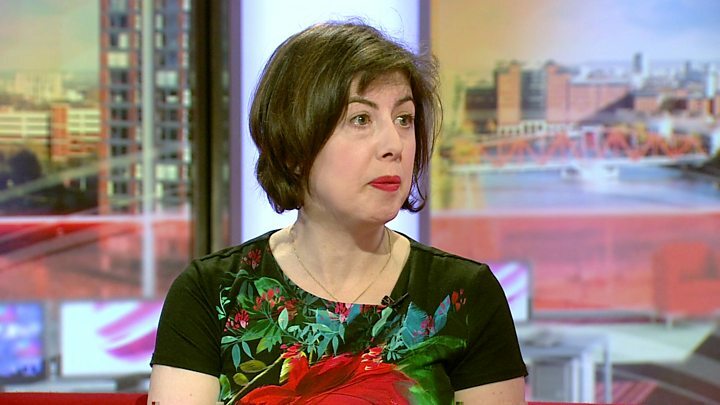 Labour's Manchester Central MP Lucy Powell, who increased her majority by more than 9,000, said she was "really glad" that "we got it wrong on Jeremy Corbyn." Political analyst Professor Andrew Russell from the University of Manchester said Labour's huge majorities in some North West seats were a throwback to the 1960s. "Labour hasn't had such results as this since the 1960s when the two parties used to share around 90% of the vote," he said. Bury North was the only seat to change hands in Greater Manchester.